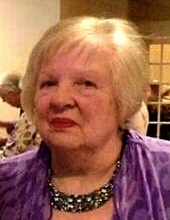 Wilena Ridgely Valentine Walton, 81, passed away April 13, 2019 at Maysville Nursing and Rehab Center surrounded by her loving family. She was born on September 22, 1937 to the late T.R. & Anna Mae (Reed) Valentine of Maysville. Wilena enjoyed spending time with family and playing the organ for Trinity Lutheran Church, a position she’s held since she was 16 years old, until her recent illness. She was a loving and devoted wife to her husband, Noel Lee Walton who preceded her in death on May 28, 2013. She was also a loving, devoted and fiercely protective mother, grandmother and great grandmother to her beloved family who adored her. She leaves to mourn her passing and celebrate her life and legacy, a loving a devoted daughter and best friend, Anne Henderson; her loving son and daughter-in-law Noel Thomas and Cathy Walton; her treasured grandsons, and their adored wives, Nathan (Lydia) Wells and Brandon (NaCole) Wells; and bonus grandsons, Ryan (Amber) Henderson and Steven Wood. She also leaves her adoring great grandchildren, Kaelyn, Lucas, and Michael Wells. Besides her parents and husband, she was preceded in death by her beloved son-in-law, Keith Henderson; a treasured grandson, Michael Allen Walton; and bonus grandson, Michael Scott Wood. Services for Wilena Walton will be held at 1:00 p.m. Wednesday April 17, 2019 at Trinity Lutheran Church with Pastor Kevin Liedich officiating. Burial will follow in the Maysville Cemetery. Visitation will be from 10:00 to 1:00 p.m. Wednesday at the Church. Pallbearers will be her grandsons along with James Gabbard. Honorary pallbearers will be Thomas Riggs and Greg Coulter. To send flowers or a remembrance gift to the family of Wilena Ridgely Valentine Walton, please visit our Tribute Store. "Email Address" would like to share the life celebration of Wilena Ridgely Valentine Walton. Click on the "link" to go to share a favorite memory or leave a condolence message for the family.